Business Aviation offers companies maximum control of their schedules, their goals, their client needs, their potential and their bottom line. It allows more business to be done in a day. It is safe, productive, and efficient travel. and land at your exact destination. It allows businesses to react quickly to issues and opportunities alike. and the life of your business. Major airlines serve only 4% of the 5,000 airports across the United States. The majority of U.S. airline flights only go to and from 70 major airports. 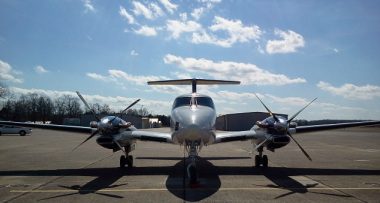 85% of the 15,000 business aircraft registered in the U.S. are flown by small and medium-size companies. The vast majority of business aircraft are manufactured, operated, serviced and maintained in the U.S.